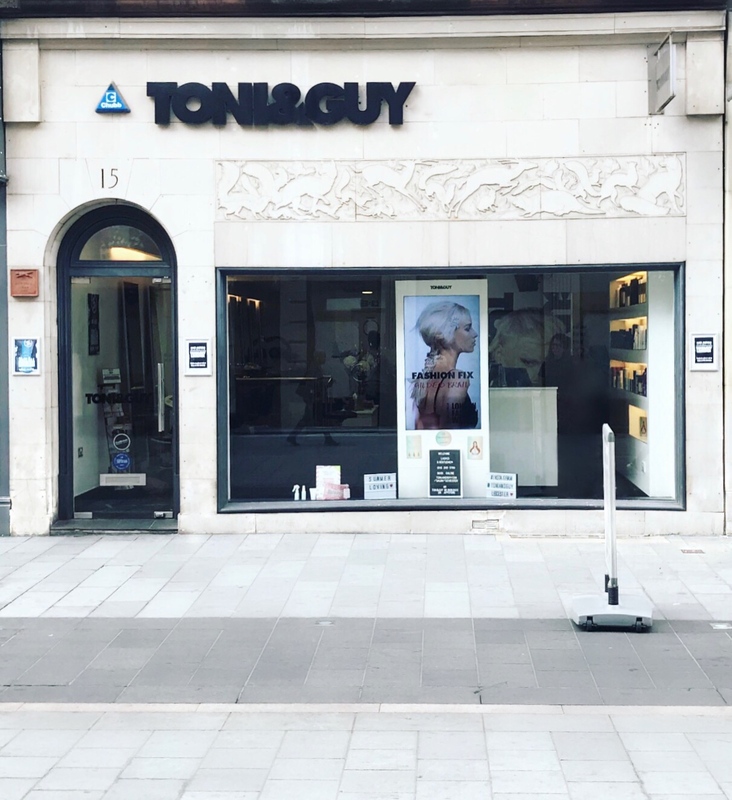 Here at TONI&GUY Leicester we are the “ultimate salon experience”. Our stylists hold over 25 years of experience, we are passionate about hair and we pride ourselves in our professionalism and customer care. We also offer a free consultation to give our clients full confidence in choosing their new look. Our stylists understand that all of our clients are individuals so before we start we take the time to get to know our clients, their likes and their dislikes, as we feel this way we can customise a style that suits their needs. We always give clients advise on current trends and how to manage even the most uncontrollable hair. From great advice on the best colour, cut and product to maintain each style. Our Wella professional colour technician is trained in to the highest industry standard, guaranteeing your hair will be in safe hands. Our other services including bridal and occasion hair. For more manageable hair we offer keratin smoothing blow-drys. Plus a grey blending service for gents offering a more natural look. To keep your hair looking and feeling fabulous we offer you are luxury range of Label m products, Wella and Ollaplex. For any further information on our services please contact our friendly reception team who will be delighted to help. Brilliant service. Mitchelle always does a great job! Michelle is lovely and did a great job. Hi Harvey, Thanks for taking the to leave feedback of your service with Ramsey. We are glad to hear you enjoyed your experience at the salon. Friendly greeting from Vito, great colour and blow dry by Deanna and Tamara respectively. We are glad to hear that you enjoyed your time spent at the salon! We will look forward to seeing you next time! Brilliant nothing was too much trouble and such attention to detail would definitely recommend and I will definitely be returning it’s the best cut I’ve ever had. We are glad yo hear you enjoyed the experience. Hi, Glenn, thanks for taking the time to leave feedback. We are pleased to hear that you are pleased with your experience with Ryan. Love my hair, great finish. Stylist is a lovely girl. Very good stylist. Listened to what I wanted and delivered. We are glad to hear that you enjoyed your experience with Ryan. Thank you for your lovely review Deborah. We are glad you enjoyed your experience with Michelle. We look forward to seeing you again. Hi Megan, thanks for your review. We look forward to seeing you again, next time. it's very good, i like my new hair style. Nisha listening to what I wanted, made sense of it and gave me the exact haircut I had in mind all the while saving me from myself. She took on board what I was saying and then advised me properly as to what the result would be if she did as I was asking which was to take more taken off the top that would’ve resulted in losing the effect I was after. We are pleased to hear you enjoyed your experience at the salon. Hi Charlie, thanks for sharing your experience at the salon with Ramsey & thank you for trusting us to do a major restyle in aid of a fantastic cause !